Peter Finn, founding managing partner of Finn Partners, joins the podcast this week to talk about growth and acquisition strategy. 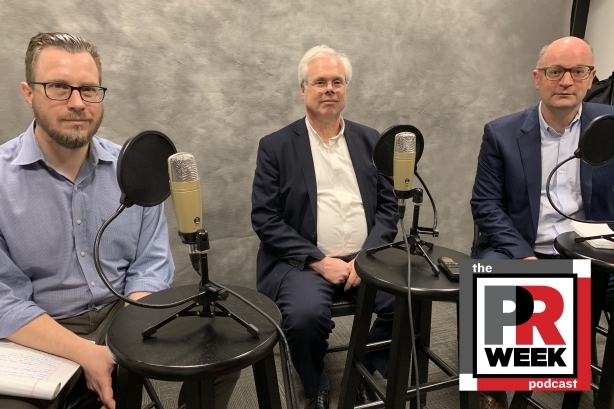 Peter Finn, founding managing partner of Finn Partners, joins The PR Week podcast this week to talk about his agency's growth by acquisition. PRWeek's Frank Washkuch and Steve Barrett also review this week's biggest stories, including Weber Shandwick winning Kellogg's account; Accenture's acquistion of Droga5; Tara Rush's new job; Current Marketing and Creation's merger; and Arby's subscription box.